 The agency is specialized in team building, incentive and outdoor stays for companies and individuals. 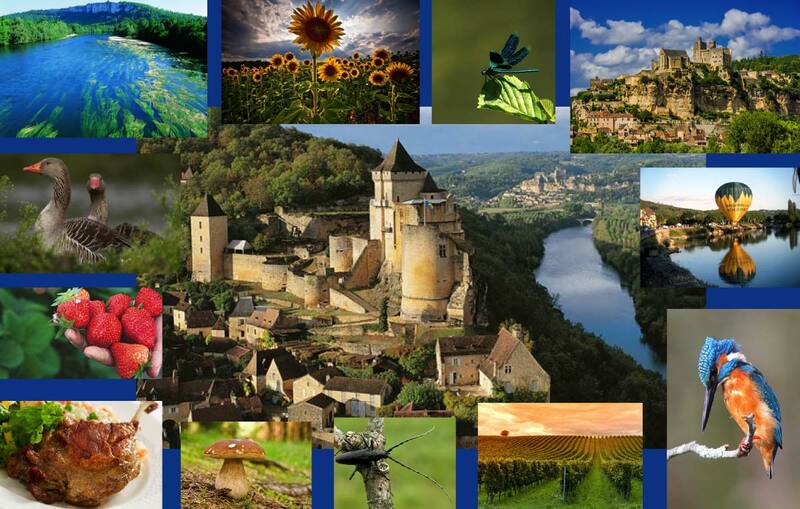 Dordogne valley is our main playground.  Perigord Evenement agency has more than 25 years experience in events. We have an important network allowing us to answer as best as we can the need of our customers. We provide consulting, design and creation. We create projects around the natural, cultural and gastronomic wealth of our territory. Events that we propose ensure best respond to your requirements and your budget. From few hours to several days, we propose a wide range of activities.